Home » How Does Hi Visibility Clothing Work? Hi vis clothing makes its wearers more visible. In that way, it is meant to prevent injuries and accidents. People wearing a hi vis vest, for example, are visible because the hi visibility vest has patches of fabric that are either fluorescent or they reflect the light. Fluorescent hi vis clothing is made out of synthetic materials to which a specific type of dye is added. This dye converts the short wavelength energy into light. In that way, such hi vis clothing is more visible. Fluorescent hi vis clothing is most effective during daylight. Artificial lights, especially UV lights are not rich in short wave energy, so they reduce the effects of such clothing. Retroreflective high visibility clothing is best used for safety in traffic. It reflects the light that is pointed directly to it – like from behind the wheel. However, it is not that effective when observed from other angles. The specifics of these high protective uniforms are listed in AS/NZS 1906.4:2010 and AS/NZS 4602:1:2011. The first standard deals with the fabrics, materials and colours that need to be used for hi vis clothing in NZ, while the second one deals with the possible applications of such clothing. Instead of spending time and resources studying these standards and trying to apply them to your workplace, you can contact Alsco New Zealand and let them do that for you. Alsco NZ rents uniforms that match hi vis clothing regulations in NZ. What Colours Are Considered High Visibility? The only two colours that are acceptable by hi vis clothing regulations in NZ are yellow and red-orange. Red is only allowed if it is in the orange spectrum. Otherwise, it cannot be considered a hi vis colour, because it is not easily discernible for some people with a specific type of colour-blindness. This is regulated by AS/NZS 1906.4:2010. 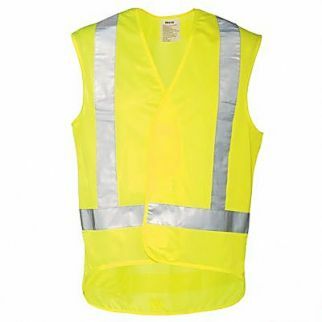 All hi vis clothing in NZ is required to have at least 0.2 square metres of fluorescent material on the front of any hi vis vest or other type of garment and the same size patch on the back. This fluorescent area should not be interrupted. The reflective hi vis tape for clothing needs to be at least 5 cm wide. Hi vis clothing regulations in NZ require for the tape to be in one of the five allowed positions. Logos can be used on reflective parts of clothing, as long as it still leaves enough reflective clothing visible. On the other hand, logos cannot be placed over reflective tape and should be less than 10cm x 10 cm in size. It is permitted to add underarm venting squares that are up to 10cm x 10 cm of size. Reflective tape, logos, venting square and all other additions do not add up to the required size of fluorescent material. How Many Classes of Hi Vis Clothing Are There in NZ? There are three classes of hi vis clothing in NZ. 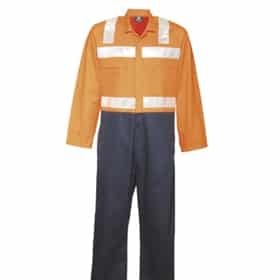 They are Class D, Class D/N and Class N. Hi visibility clothing regulations in NZ classify the garments in accordance to their use. Features Fluorescent fabric on both front and back of the hi vis clothing. EAch side needs to have at least 0.2 sqm of fluorescent fabric, excluding logos, reflective tape and other items. High visibility is achieved with reflective tape that is at least 50 mm wide and positioned in a certain manner on the garments. This type of hi visibility clothing is a combination of fluorescent fabric and reflective tape. In that way, one type of reflective features will work either during day or night. So, Class D is intended for daytime use, D/N for both day and night and N for nighttime. Since these three classes have different uses, they also have to meet different hi vis clothing regulations in NZ. Class D – This type of hi vis clothing is intended for daytime use. It is not compliant with the hi vis standards in NZ if it is used outside daylight hours. It needs to have at least 0.2 sq m of fluorescent yellow or orange-red colour on both front and back side. However, fluorescent colour should not be on the sleeves or collars. Class D/N – For those that need to wear safety hi vis clothing during both daytime and nighttime, Class D/N is the best option. It has similar requirements for the amount of fluorescent material on them, but there is also the requirement for strips of reflective tape. While fluorescent material is not suitable for nighttime, reflective tape is. Class N – This type of hi vis clothing is suitable for nighttime. Since the fluorescent colours are not visible without daylight, the colours of this clothing is not that important as long as it has enough reflecting tape on it. That tape has to be at least 5 cm wide and it has to meet certain configuration. Who Invented Hi Vis Clothing? An American Bob Switzer is the person who invented hi vis clothing. However, that was not his first intention. Namely, Switzer wanted to be a doctor. At the time, he was a manual worker in Heinz Ketchup factory in California. One day, during work, sustained injuries to his head as a result of falling and hitting his head. Those injuries were so severe he ended up in a coma. As a result of this comatose state, his vision was in jeopardy of being permanently damaged. Doctors advised for him to remain in dark. Since the recovery was long, Bob Switzer’s brother Joe wanted to help him by keeping him entertained, performing magic tricks. Joe Switzer found a way to utilise fluorescent chemicals to make his magic tricks more appealing for his recovering brother. Bob Switzer enjoyed those tricks so much he continued experimenting after his recovery and ended up developing the ‘Day-Glo’ paint. Bob even used it to colour his wife’s wedding dress, making it the first hi vis clothing in the world. 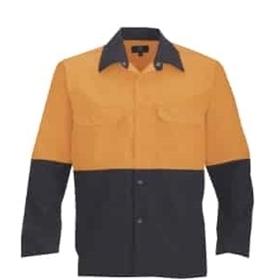 Later on, the safety and commercial applications of this colour became apparent and today, the safety hi visibility clothing is used all over the world and in a wide range of industries. If your business is one of those industries, it is important that you keep your employees safe by offering them safety hi vis clothing. This can include overalls for NZ workplaces, or even just a hi vis vest for every employee who needs to be visible in their workplace. 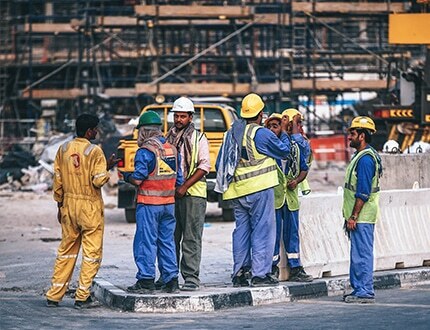 You don’t have to worry about meeting all the hi vis clothing regulations of NZ authorities or how you’ll pay for all that safety hi vis clothing. You simply rent all the necessary hi vis clothing for a flat annual fee. 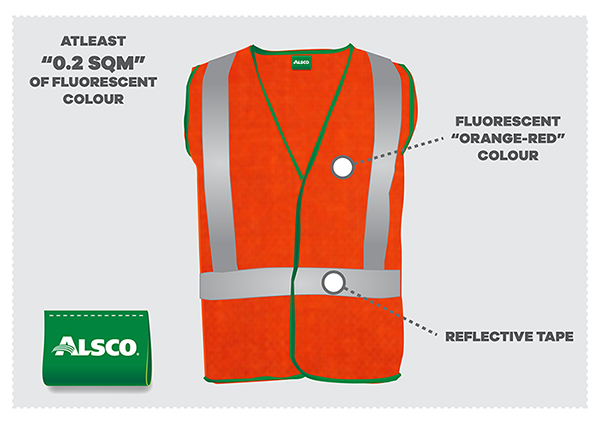 Alsco New Zealand always offers hi vis garments that are up to hi vis standards in NZ. Regular cleaning is included in your price. Call us to learn more!